Chocolate, sprinkled, jelly or glaze; Friday is the day to throw away the calorie chart and grab a doughnut on your way to work. Heck, pick up a box for the office while you're at it. It is the official National Doughnut Day, which is a day to celebrate all things sugary and fried. The first Friday in June has been the official holiday since 1938. We can thank the Salvation Army for the sugar high. It established National Doughnut Day as a tribute to women who served the snacks to soldiers during World War I. This is a BYOM, as in milk, holiday. 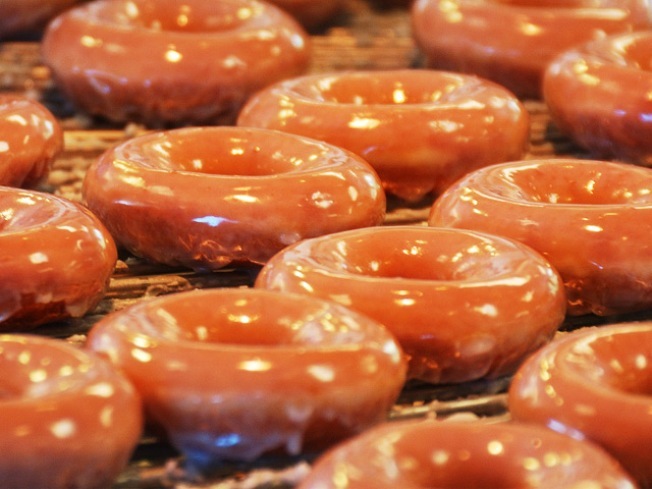 One of the biggest names in the doughnut industry, Krispy Kreme, is offering free doughnuts to celebrate. Just walk on in or go through the drive-through and you can get a hot, glazed, melt-in-your-mouth doughnut -- no purchase necessary. A few Bay Area-owned doughnut shops are participating as well, including the marketing magnet Psycho Donuts in Campbell. They are holding a festival of sorts at the corner of Winchester and Campbell both Friday and Saturday. They will also debut a new option called "strawberry tacOnut." Check your favorite doughnut shop for more giveaways and say cheers with some sweet mouth-watering circular goodness. The Chronicle pointed out, and we will too, that this is also National CPR Awareness Week.